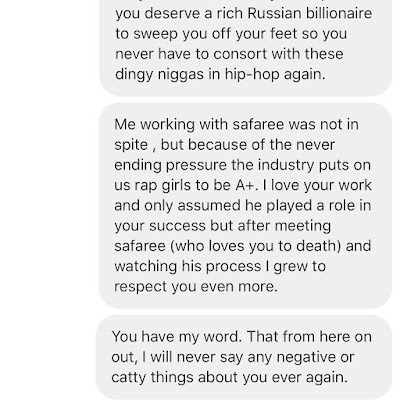 Azaelia went on to say Nicki Minaj, Remy Ma, or even herself deserve it better than Cardi but black women are never celebrated. 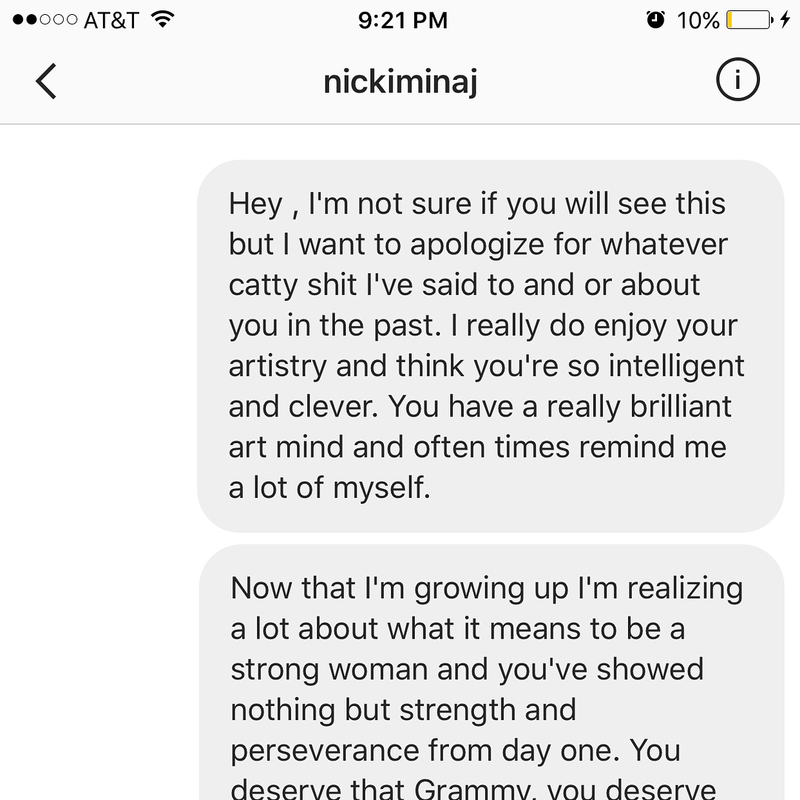 A lot of people criticised her but some agreed with her. 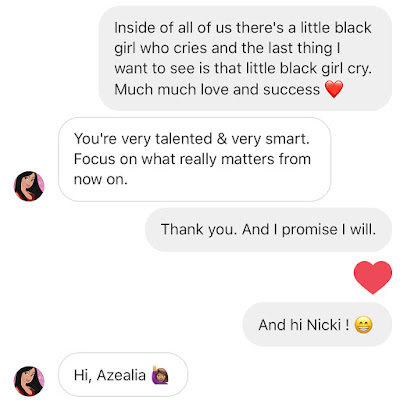 Then Azaelia, who has been known to call out Nicki a lot in the past, reached out to Nicki Minaj to apologise for always attacking her and also to let her know she, and not Cardi, deserves to be number 1. 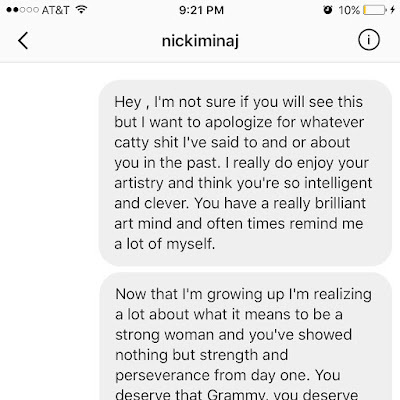 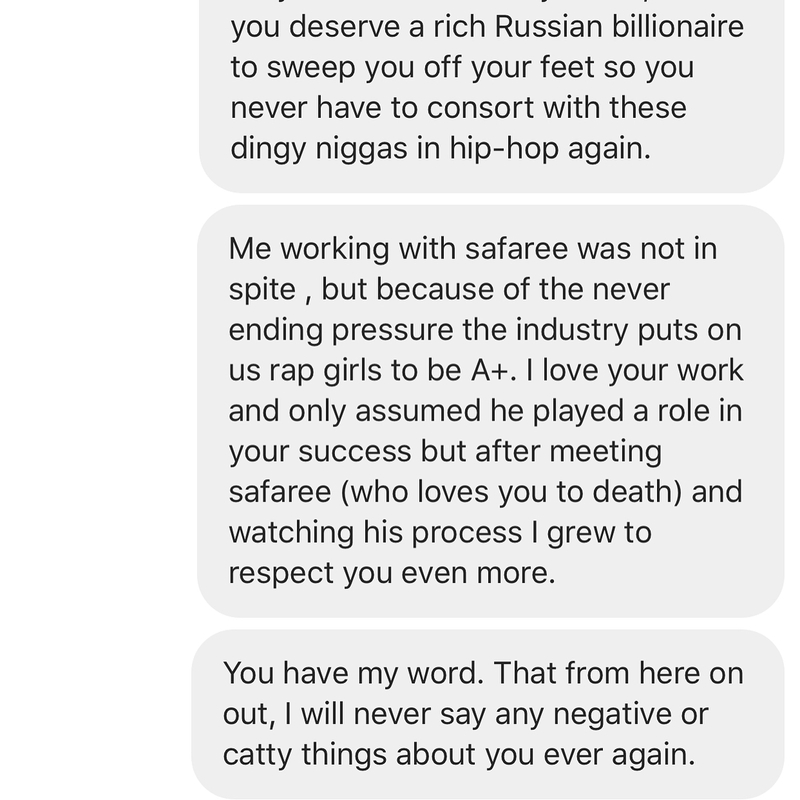 Surprisingly Nicki who hasn't spoken with Azealia in years replied her message to let her know they are now cool. 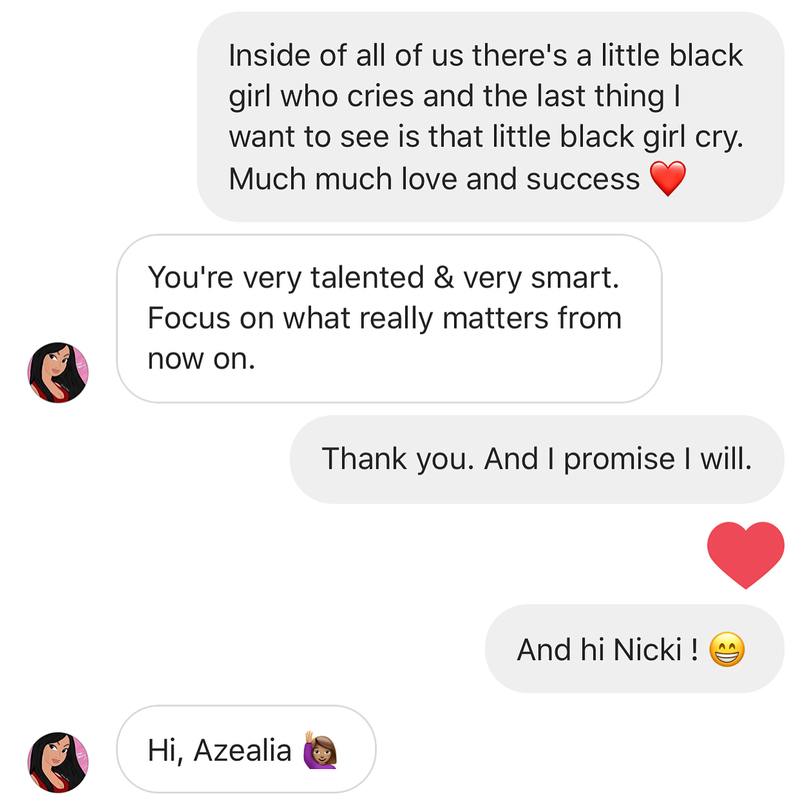 Azealia later shared her conversation with Nicki.